The Sports Heads have returned! And this time they are taking the Soccer Cup! 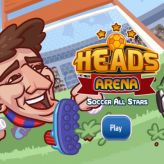 Pick your favorite country and win the cup in Sports Heads: Football Championship! Choose your player and start kicking until you score a goal! Pick various power ups and outscore your opponent! 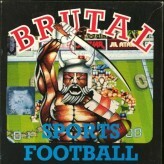 Sports Heads: Football Championship is a wacky arcade soccer (football) game where your goal is to outscore your opponent in a one on one soccer gameplay. The game features 8 power ups with varying effects. Some power up will make you move faster, others will make you grow bigger, while some hinders your opponent’s abilities to defend. 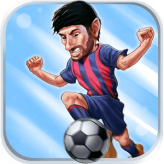 Pick a team, choose a character, and outscore all your enemies in a tournament style to get th Football Champion’s Cup! There have been 853 plays and 7 likes from 9 votes (78%) since 06/07/2016. 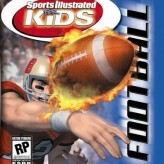 You are currently playing Sports Heads: Football Championship game for free on Arcade Spot. It is a single game out of a variety of games that you can play on Arcade Spot. Play more games like Sports Heads: Football Championship in the Arcade, Challenge, HTML5, Mobile, Skill, Soccer, and Sports gaming categories. This game has a rating of 78 out of 100 based on 9 user ratings. If you enjoyed playing the game, give it a thumbs up. Free Online Games and Arcade Games are added every day. Arcade Spot will bring you the best games without downloading and a fun online gaming experience on the internet.